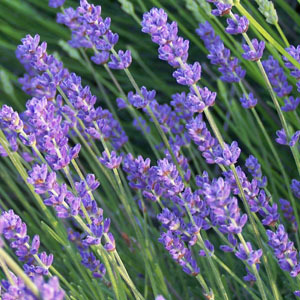 This cultivar of English lavender is similar to 'Hidcote', and also has very dark flowers. The growth is a bit more compact and the flower stems just slightly longer. The calyx color is very dark purple; the corolla violet. Nice for cut and dried flowers. Categories: All Items, all potted plants, culinary herbs, deer resistant, dried flowers, lavender plants, Potted Plants, More..